Construction Junkie's 4th Annual Best Construction Podcast Competition has officially come to an end and the results have been tallied. It was a very exciting competition this year, with several very strong competitors pulling in tons of votes. The 2018 contest was our biggest year yet, as the field of nominees jumped from 4 last year to 10 this year. The increase in nominees and each podcast's strong push for votes allowed us to break records for vote count. You can click the corresponding year to check out the results of our 2015, 2016, and 2017 best construction podcast competition, as well! You’ve probably heard of CONEXPO/CON-AGG, because it’s the largest construction conference in the world, but did you know that they also produce a podcast? Hosted by Peggy Smedley, the two-times monthly podcast features interviews with experts in many aspects of construction, such as technology, occupational health and safety, regulations and education. Currently on episode number 86, each show is about 30 minutes long. CONEXPO/CON-AGG Radio not only took home the 2018 title, but they also shattered the previous vote count record on their way. As promised to the winner, constructionjunkie.com will feature their podcast on our sidebar for 1 full year. In any other year, the Open During Construction Podcast would have been the winner, based on their vote count, but, unfortunately they ran into a juggernaut this year. Launched in 2017, the Open During Construction Podcast focuses on the intersection of planning and engineering when it comes to building cities. Hosted by Michelle Berquist, Rob Muir, and Muneef Ahmad, the trio has hosted interviews with city employees and has even talked about generational differences. The show is published monthly and episodes typically run around 30 minutes long. The ConTech Crew also had a very strong voting turnout this year, amassing more votes then they ever have in the competition, but also fell short. The ConTech Crew (@TheConTechCrew) is also a previous champion, taking home the title in 2016, albeit under a slightly different name. Previously known as the ConTech Trio, the podcast renamed itself after co-host Josh Bone departed the show amicably. Hosted by JBKnowledge CEO James Benham (@JamesMBenham), Rob McKinney (@ConAppGuru), and relative newcomer Jeff Sample (@IronmanOfIT), the ConTech Crew Podcast takes a weekly deep dive on construction technology topics and guest interviews with the construction tech industries biggest names. 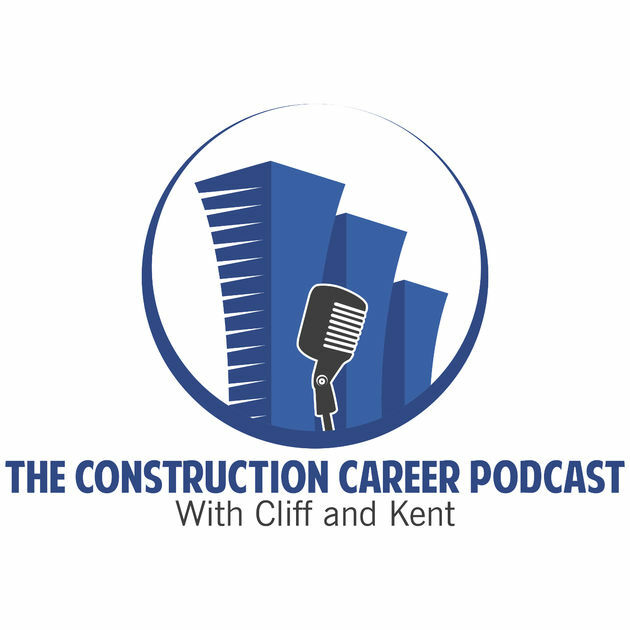 The Construction Career Podcast was a very pleasant surprise this year, as they posted a very respectable 4th place even though their podcast is only a few short months old. The podcast is hosted by Kent Jones and Cliff Hampton, who both have extensive experience in the construction industry. The once per month podcast focuses on interviews with their friends from the industry, who include project managers, superintendents, architects, and others. It’s a relatively new show, with only 5 episodes released so far, but each show is around an hour long. A self-described “online show by contractors for contractors,” the Protractor Podcast interviews contractors who are in the trenches every day. Hosted by Martin Holsinger, an author and contractor marketing consultant, the weekly podcast is typically around an hour long and discuss how to build and grow a construction business with each week’s guest. Hosted by social media powerhouses Kyle Stumpenhorst (@RRBuildings), Mikey the Maker (@mikeythemaker), and Shapeoko CNC founder Ed Ford (@shapeoko), the group examines various sides of managing their business, including all of the trials and tribulations of handling social media accounts. Currently on episode 15, the weekly podcasts are typically around an hour long. The Contracting Coachcast is the only construction podcast on this year’s list that was also nominated for our very first best podcast competition in 2015. The long running podcast, hosted by Tony Booth, is published 5 days a week and most are around 20 minutes long. On the show, Booth discusses a variety of different construction topics, such as pre-bid contracts, general conditions reviews, tracking and monitoring project issues, and improving cash flow. 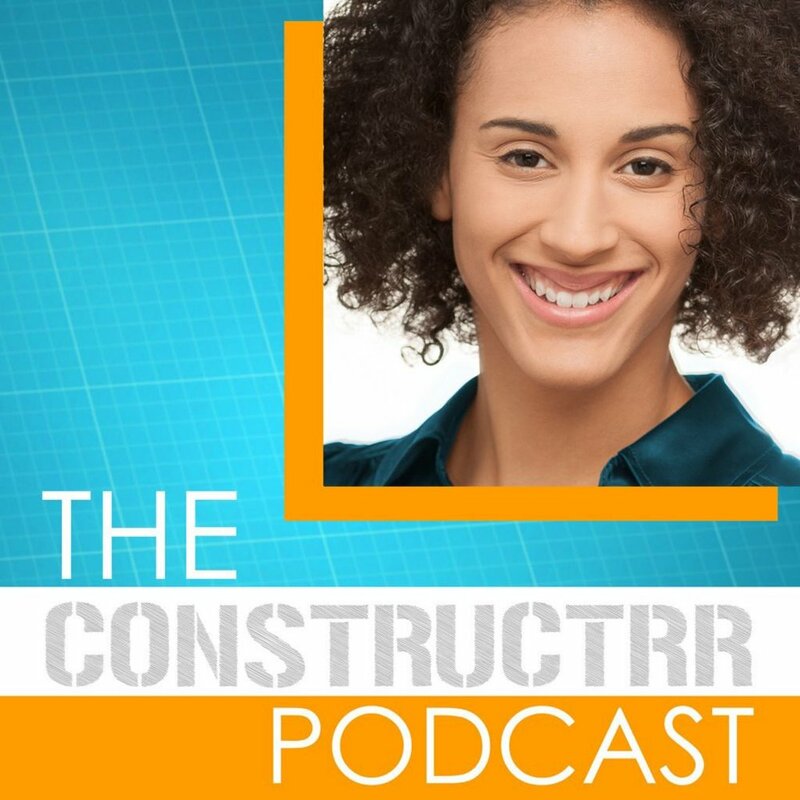 According to the show’s description, CONSTRUCTRR focuses on interviewing people within the construction industry who are either “crushing it!”, “innovatively efficient,” or “positively impactful.” Hosted by Brittanie Campbell-Turner, a construction project manager and business consultant, CONSTRUCTRR is released at least once a week. Many of the most recent episodes have taken a closer look at how blockchain technology, the same kind used by cryptocurrencies like Bitcoin, could be used to positively affect the construction industry. Promising to "bring the hurricane" on Twitter, the storm named The Lien Zone appeared to break up over the Atlantic before hitting shore, leaving this competition with only a light drizzle to deal with. Of course, that's all for humor. It was an honor to have The Lien Zone Podcast as our 2017 Champion and we're sure they plan to come back with a vengeance in 2019. 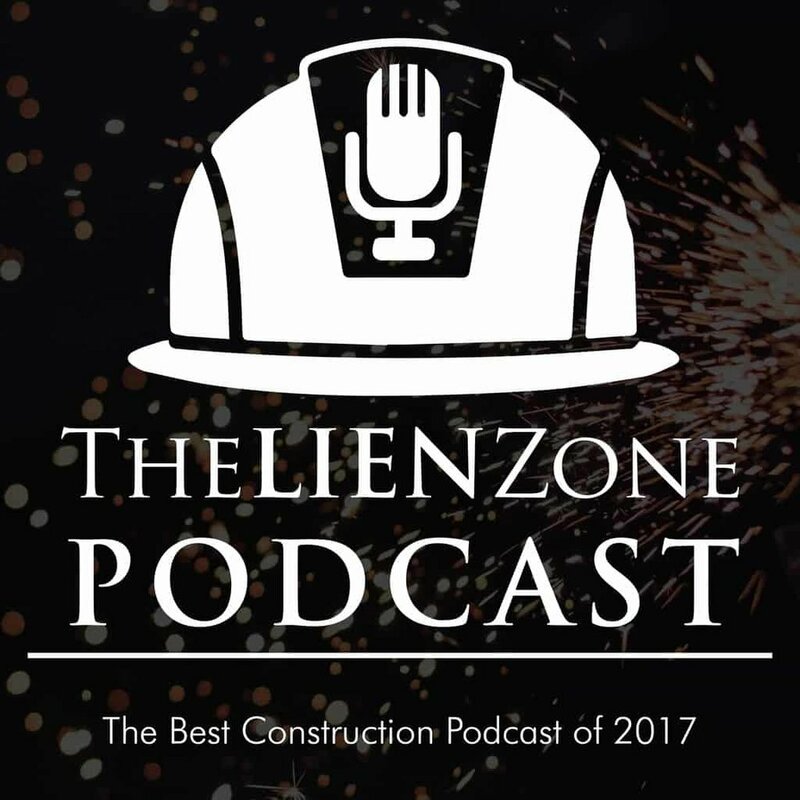 Hosted by Miami construction lawyer, Alex Barthet (@thelienzone), The Lien Zone Podcast discusses many aspects of the construction industry from a legal point of view. This weekly podcast is a quick listen, with most lasting less than 10 minutes, but that’s all the time Alex needs to inform his audience about each topic. Hosted by HVAC contractors Brent Ridley and Billy Knoth, the pair interview people who use tools on a daily basis or those who actually manufacture the tools. Even though Ridley and Knoth are both HVAC contractors, they focus on tools for every trade, including carpentry, welding, electrical, and more. A new show is posted every week and is typically around 30 minutes long. All trench collapse deaths are preventable. As soon as everyone on a job site starts believing that we might actually make some progress. In just the past 10 days, there have been 4 trench collapse deaths across 3 separate incidents, further highlighting how far we still need to go. Falls on the jobsite is the leading cause of injuries and fatalities in construction. Keeping up with housekeeping on your site is a great way to reduce risks of falls, but other protections, like rebar caps should be installed when rebar is exposed. A young construction worker recently found out the hard way what happens when rebar is left exposed. Should Subcontractors Use Their Own Project Management Software? As smartphones and tablets are slowly becoming one of the most prominent and powerful tools on construction site, construction technology companies are still largely focusing on construction management firms and general contractors. What’s lost on many is the fact that there are dozens of subcontractors on every jobsite that also need to manage their projects. Completed in 1976, the CN Tower in Toronto, Canada held the record for the tallest freestanding structure in the world from 1975-2007, until it was supplanted by Dubai’s Burj Khalifa. At its highest point, the CN Tower, which is mainly used as a communications and observation tower, reaches 1,815.4 feet (533.33m). Last year, the tower underwent a $16 million renovation and Priestly Demolition shared a fascinating, in-depth video for how they took care of the demolition of the interior space and walls. On April 3, a congressional appropriations hearing was held to discuss the U.S. Department of Labor’s Federal funding for fiscal year 2020. During the hearing, the secretary of Labor, R. Alexander Acosta, told the committee how OSHA plans to spend their budget and how the agency fared in the previous year. A 58-story condominium tower currently under construction has found itself embroiled in a legal battle after the former General Contractor filed a lawsuit against the developer, citing the fact that the building is now “leaning” 3 inches to the north. Safety training in the construction industry is necessary to build worker awareness – not to mention that it’s legally required – but it can be extremely time consuming and expensive to have completed. There are many companies out there looking to make money off of keeping workers safe, which is why it’s great when a company offers training free of charge, like Procore’s Safety Qualified program. Cranes collapsing on-site are serious business, especially since many of them resulted in the loss of life. A recent crane collapse on a construction site in Alpharetta, GA was caught on camera after it caught fire, but luckily no one was injured. Each year, the American Road & Transportation Builders Association (ARTBA) puts out their annual Bridge Report, which highlights the general state of America’s bridges. Their recently released 2019 report shows that we’re making progress on the structurally deficient bridges across the country, but the association is not satisfied with the speed of repairs.